Arsenal are interested in signing Julian Draxler from Paris Saint-Germain before Thursday's transfer deadline, according to Sport Bild. The Gunners now look set to lose Alexis Sanchez to Manchester City and have eyed Germany international Draxler as his replacement. PSG are open to selling Draxler, having spent €222 million to land Neymar from Barcelona earlier in the month. Crystal Palace have made a bid of over €20 million for Manchester City defender Eliaquim Mangala, according to a report in L'Equipe. Mangala has not been a first-choice under Pep Guardiola and spent last season on loan at Valencia. Palace are keen to strengthen their backline, but they face competition from clubs in Italy for the France international. Juventus have rejected a €160 million offer from Barcelona for Paulo Dybala, Corriere dello Sport claims. The Catalan club have been rebuffed in their attempts to sign Philippe Coutinho from Liverpool and have turned to the Juve star in the wake of Neymar's €222m move to Paris Saint-Germain. However, the Serie A side are unwilling to sell the Argentina international and knocked back Barca's approach on Wednesday. West Ham have pulled out of the race for Sporting midfielder William Carvalho after the club refused to meet the player's €42 million valuation, according to the Daily Record . The newspaper reports that Hammers joint-chairman David Sullivan opted against sanctioning an improved offer following the Portuguese giants' rejection of a deal worth €30m plus €10m in add-ons earlier in August. The latest development comes as a blow to West Ham boss Slaven Bilic, who is eagerly seeking to bolster his squad before the window shuts. Having thus far failed to land a suitable back-up for wing-back Victor Moses, Chelsea are considering a deadline day move for Bacary Sagna, reports the Daily Star . Southampton's Cedric Soares and Bayern Munich's Rafinha are also said to be options, but the 34-year-old former Man City man would likely be the easiest to pick up. Manchester United have also been credited with an interest in the former France international. Everton are considering a move for Chelsea striker Michy Batshuayi, according to French outlet FootMercato . The Toffees are keen to bring in another striker before the end of the deadline and, with a loan move for Diego Costa looking unlikely, Ronaldo Koeman sees the Belgian as a suitable option. With Dwight Gayle unsettled at Newcastle, Rafa Benitez is hopeful of bringing in Liverpool forward Divock Origi as a replacement, according to Express . Any move for the Belgian forward would depend on whether Gayle, valued at £18 million, is sold, and whether Jurgen Klopp's Reds add more players to their squad on deadline day. Barcelona have opened talks with Leicester City winger Riyad Mahrez, according to AS . The Blaugrana are still hopeful of signing Liverpool's Philippe Coutinho, but they have now identified Mahrez as an alternative. The Algeria international is likely to cost around €50 million after Roma had a series of bids rejected for the Foxes star. Everton have made an offer to add Barcelona defender Thomas Vermaelen on a season-long loan, reports the Daily Mirror . The 31-year-old former Arsenal man has played in just 11 league games for Barca since joining in 2014 and played nine games last year in Serie A on loan with Roma. Arsenal have set their sights on Paris Saint-Germain forward Julian Draxler and will not sell Alexis Sanchez unless the Frenchman signs, reports the Mirror . The Gunners are bracing themselves for another offensive from Manchester City on deadline day, as Pep Guardiola continues his bid for the Chilean until the very last moment. 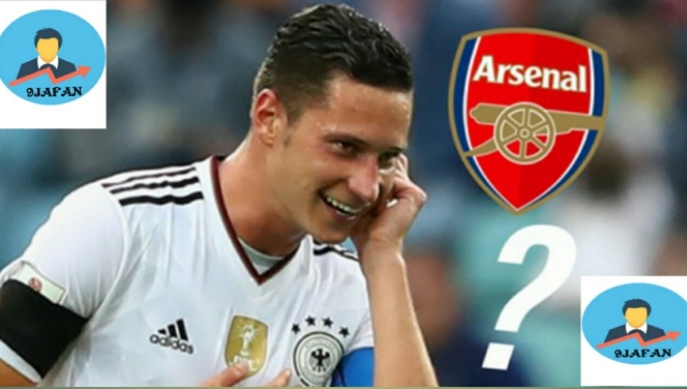 Draxler, whose first-team chances look bleak with Neymar and possibly Kylian Mbappe joining PSG, would be the big-name signing needed at the Emirates to calm irate supporters if Alexis exits. Tottenham are set to battle Chelsea for Swansea City striker Fernando Llorente, according to The Sun . The Blues are in pole position to sign the Spain international in a £15 million deal, but Spurs boss Mauricio Pochettino is hopeful he can steal in to provide competition for Harry Kane in north London. West Ham want Jack Wilshere on a loan deal from Arsenal after seeing their bid for William Carvalho fail to advance, claims the Sun . The Hammers have made a disastrous start to the Premier League season, losing three games out of three and shipping 10 goals. And as Portugal international Cavalho seems no closer to east London, the club's eye has fallen on Wilshere, who is desperate to kickstart his career after falling out of favour with the Gunners. Tottenham and West Ham are both hoping to land Portugal international Andre Gomes from Barcelona, according to the Telegraph . Gomes has struggled to fit in at Camp Nou since moving last summer from Valencia, and has dropped in and out of the first team. And his possible availability has alerted the two London clubs, who are both keen to bolster their squads as the transfer window comes to its end. Swansea City are on the verge of sealing a sensational loan deal for Bayern Munich youngster Renato Sanches, reportsDiMarzio.com . The 20-year-old Portugal international has failed to settle in Germany since moving from Benfica last season, and is now expected to leave the club. And Swansea, whose manager Paul Clement worked with Sanches at the Allianz Arena, reportedly are set to complete a loan deal worth €5 million along with a purchase option of €30m. Arsenal have ruled out signing Manchester City striker Sergio Aguero as part of any deal which could see Alexis Sanchez head in the opposite direction, claims the Daily Mirror . Manchester United midfielder Marouane Fellaini could be set to leave Old Trafford with Fenerbahce looking to sign the Belgium international next summer, according to the Sun. Fellaini is seen as a key part of the United squad by manager Jose Mourinho, and the Super Lig club are prepared to wait 12 months to secure a transfer. The 29-year-old was linked with Juventus earlier in the summer but a move did not materialise. Tottenham are now leading the race to sign Leicester winger Demarai Gray before the transfer window closes on Thursday, reports the Daily Mirror . Bournemouth have already offered almost £30 million for Gray, and Crystal Palace have also been linked with an approach as part of a swap deal involving Andros Townsend, but Spurs are keen to complete a deal for the England Under 21 international. Arsenal have made an offer for Real Madrid winger Lucas Vazquez, according to Diario Gol. The Spain international has become an important option for Zinedine Zidane, but has not locked down a place in the starting XI due to competition from the likes of Cristiano Ronaldo, Gareth Bale, Marco Asensio and more. Roma, Juventus and Liverpool have also been credited with an interest in the 26-year-old. Diego Costa could be set for a surprise loan switch to Las Palmas to help facilitate his transfer to Atletico Madrid, according to the Sun. The 28-year-old is expected to leave Chelsea before the end of the transfer window in order to return to Atletico, but cannot play for the Madrid club until January due to their transfer ban. The Liga side cannot register any new players until January 1, so a loan move to Las Palmas would help Costa keep fit ahead of the new year.